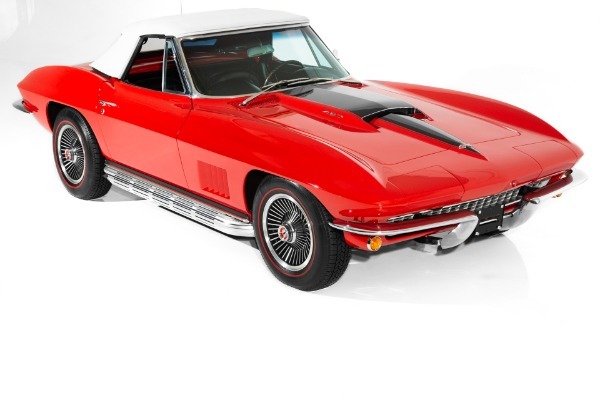 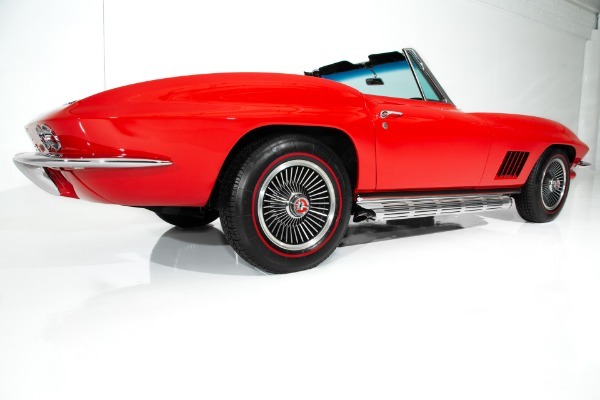 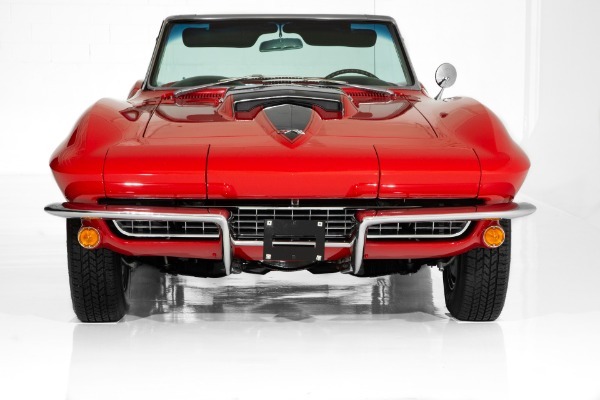 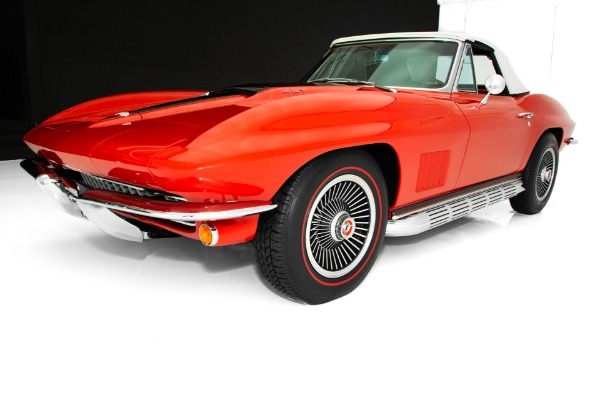 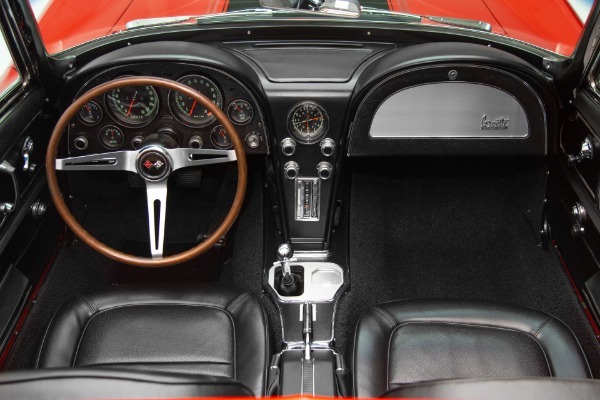 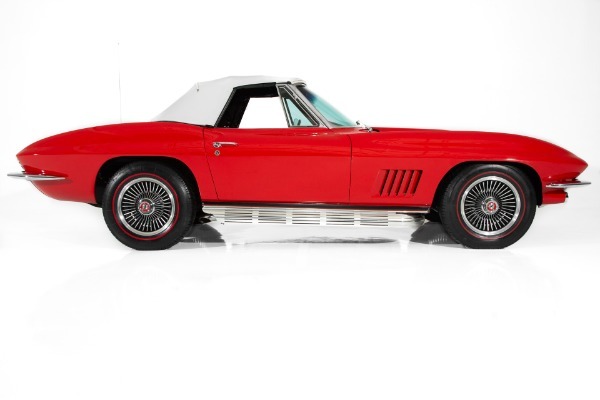 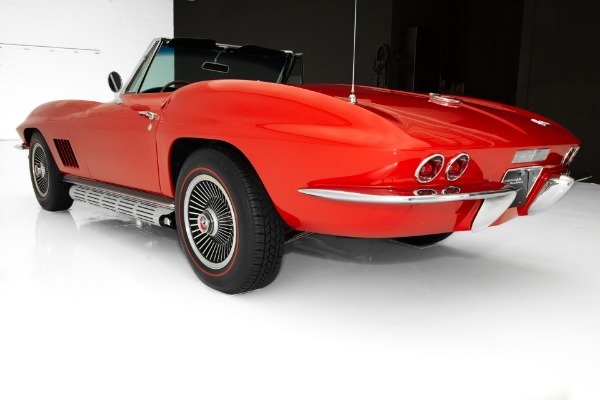 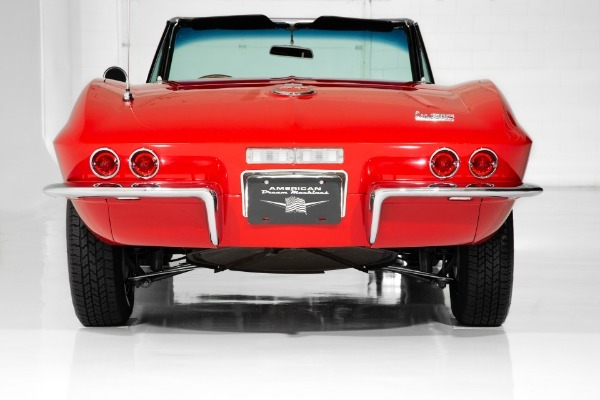 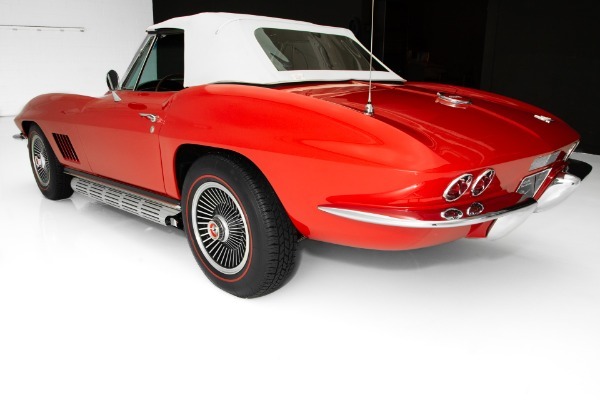 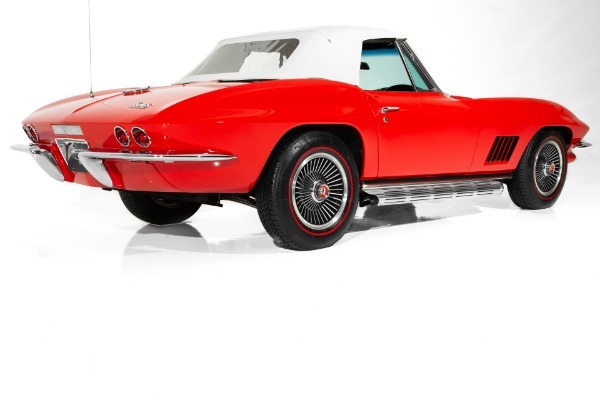 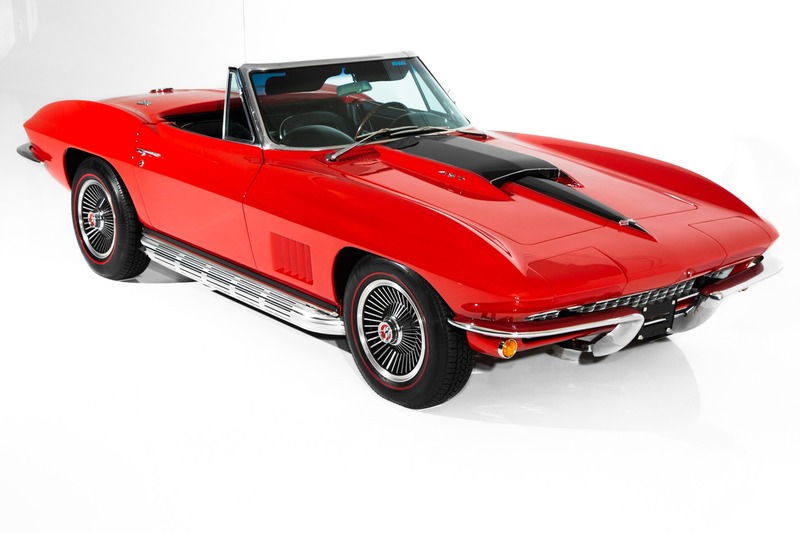 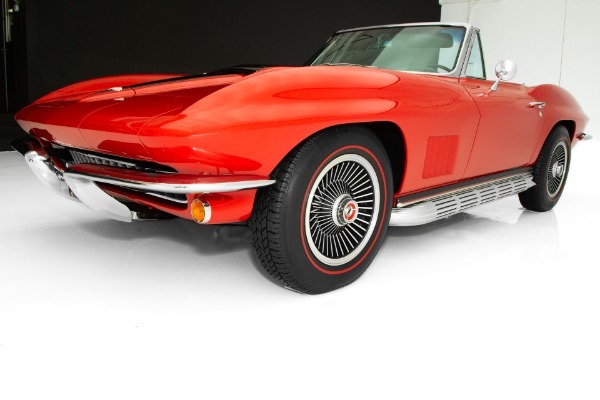 Rally Red 1967 Corvette roadster, 427/435 horsepower tri-power with an extensive frame off restoration that is impeccable from new chrome bumper to bumper. 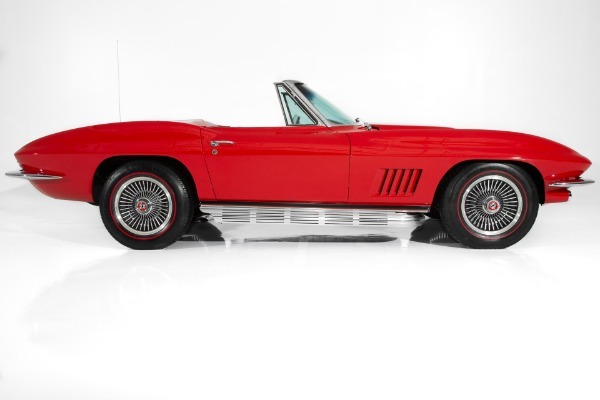 4-speed, side exhaust and bolt-on wheels; this is a true Rally Red roadster with standard black interior and great attention to detail. 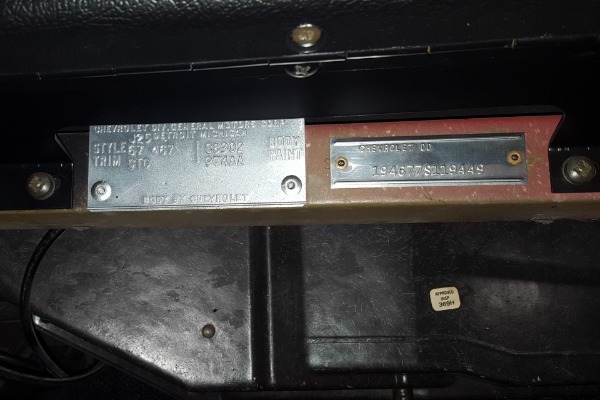 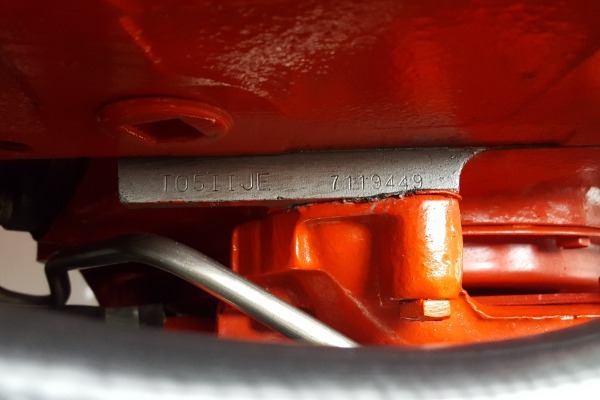 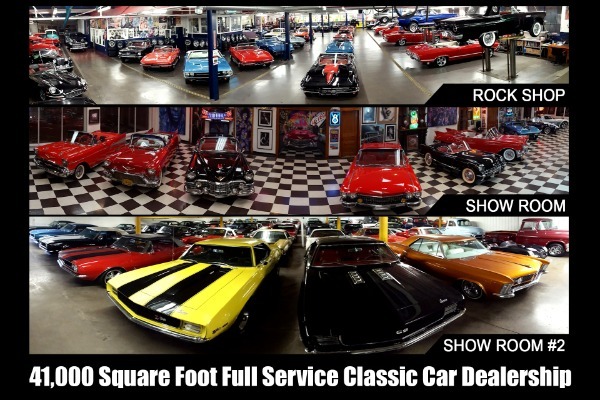 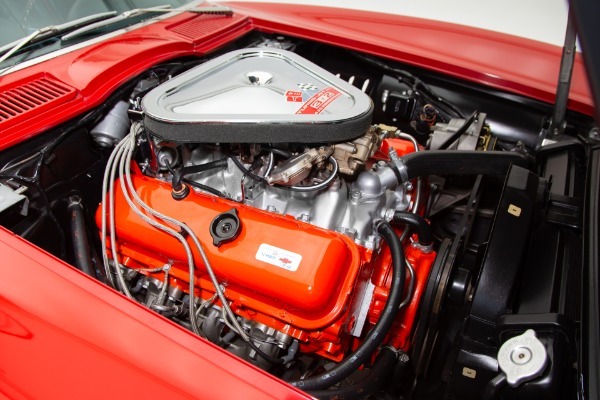 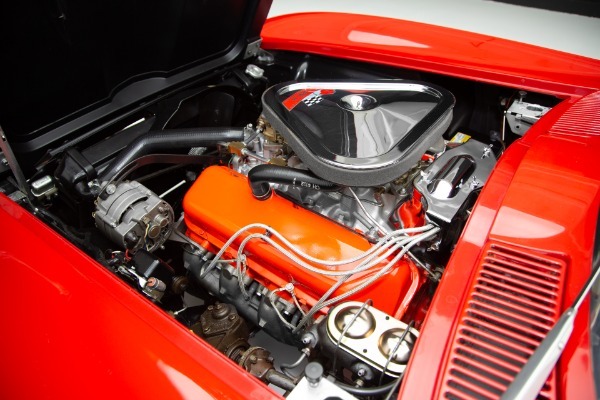 This authentic 427/435 hp big block car is authenticated by numbers matching and date code correct big block engine with a great looking consistent stamp, 6500 redline tachometer, 80psi oil pressure gauge, big block sway bar, heavy duty suspension and a posi-traction rear end to back it up. 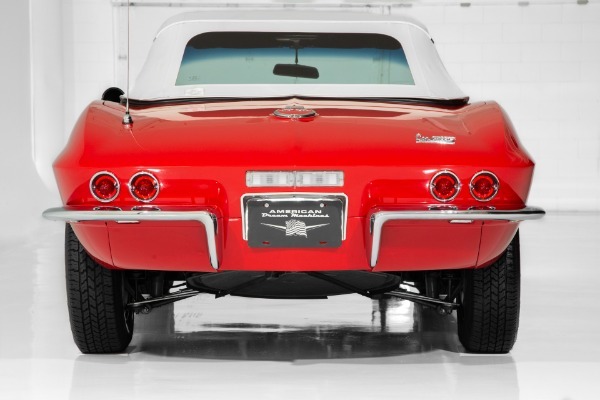 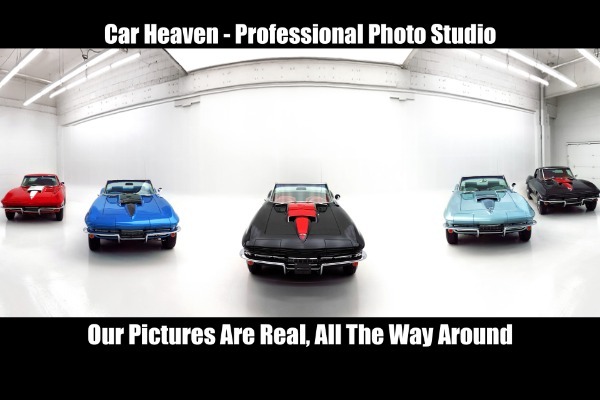 The paint and body are restored to a high level on an incredible body with very nice body lines and intact bonding strips. 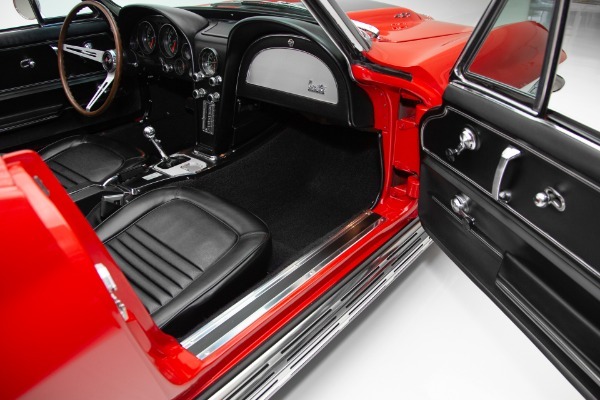 The undercarriage is what you would expect from a concourse level restoration, blasted frame professionally painted in high gloss, gorgeous intact floor pans and lots of new parts. 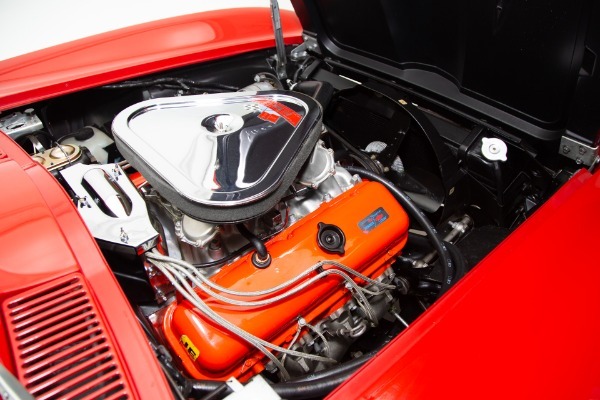 Under the original big block hood with a black stinger will get your heart pumping seeing a true 427/435 horsepower turbo jet engine topped off with a gas guzzling, tri-power carburetor set up, Winters snowflake intake and correct ignition shielding. 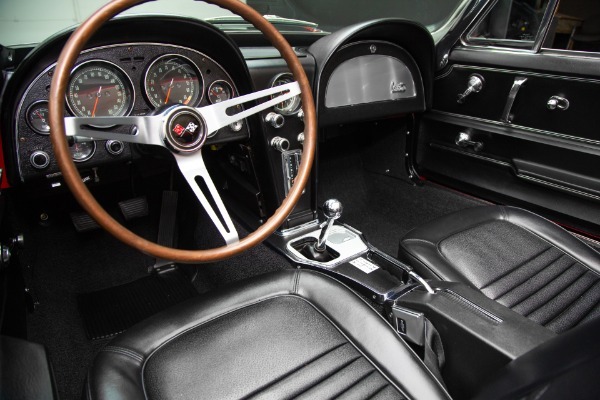 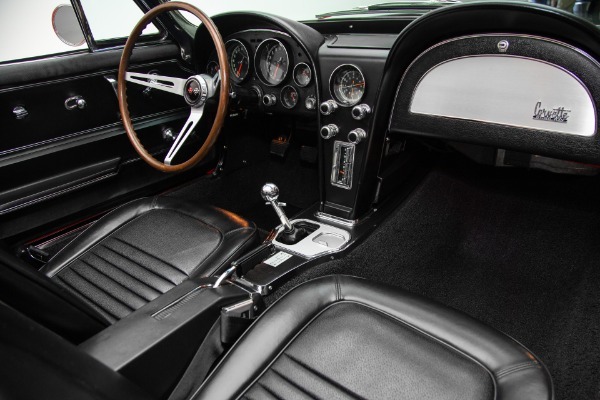 The correct black standard interior appears as new with newer seat covers, door panels and carpet. 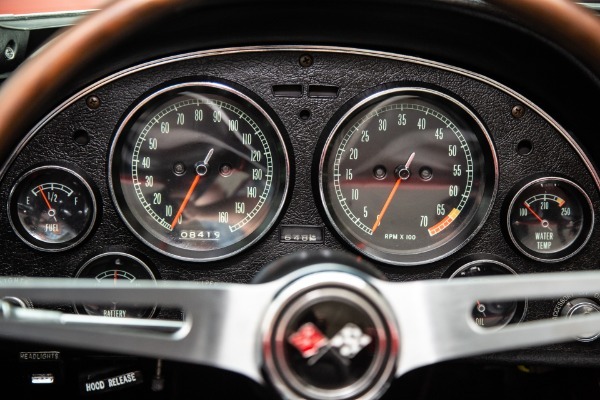 The gauges have been refurbished and are also like new with crisp white lettering over the black gauges and a white convertible top to keep you cool on those hot summer days. 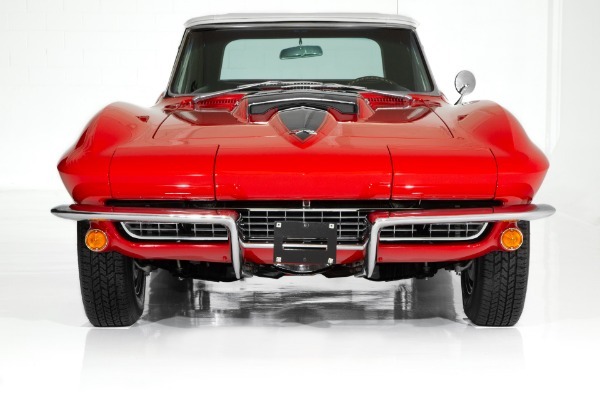 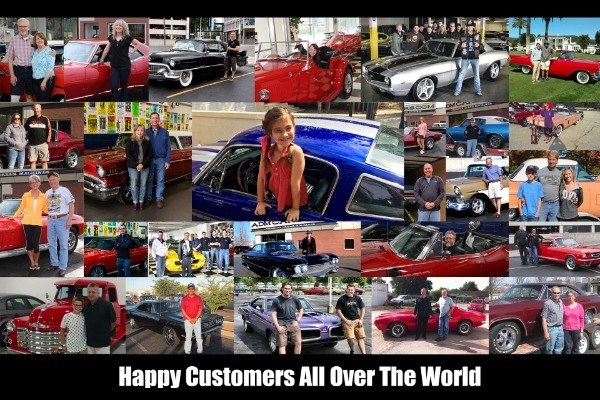 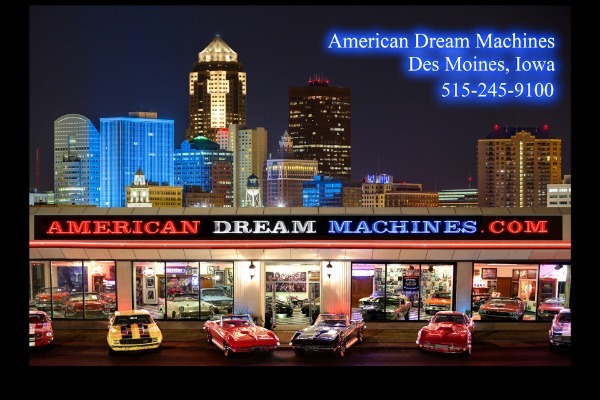 Feeling the power of that 435hp engine mated to a Muncie close ratio 4-speed transmission, side exhaust, bolt on turbine style wheels and redlines should be added to your bucket list or your collection of over-the-top cars.